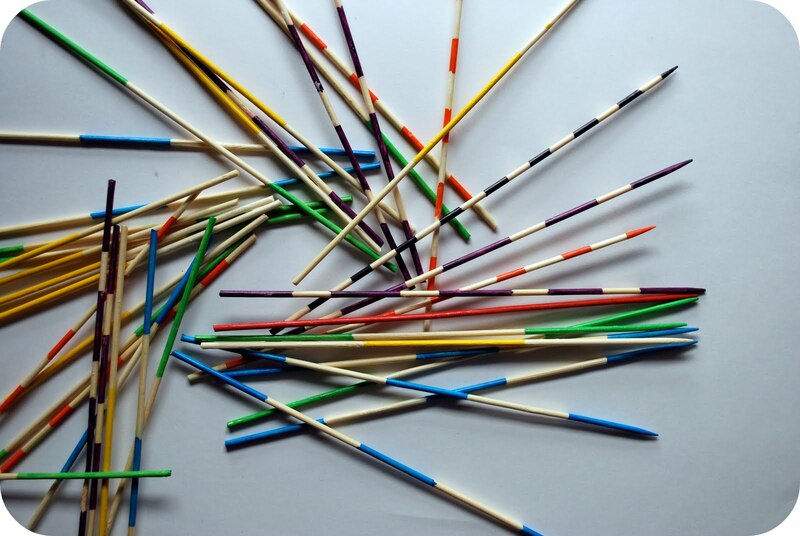 Beeper received a set of pick up sticks for his birthday this year and it has been a popular family game pretty much ever since. The thing is though, with something as classic and simple as a set of pick up sticks, well, I couldn't help but imagine how I could make my own--so these little stripey sticks came to be (because stripes are so much better than solids--and when you are a skinny bamboo stick, some horizontal stripes actually add some much needed dimension to your figure). They are pretty straightforward to make ( no need to even get out a sewing machine, folks!) --and really, you could get the kids in on this. 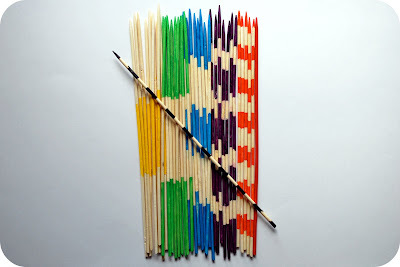 In fact, give them the clipped bamboo sticks and let them paint their own designs--to hell with my design--and then they can assign their own point values to their designs. Oh--and the tutorial also includes game instructions on the last page--in case you have just arrived from Uranus and have never played...but even an alien can play this game. Just play fair, okay? No Uranian mind tricks. 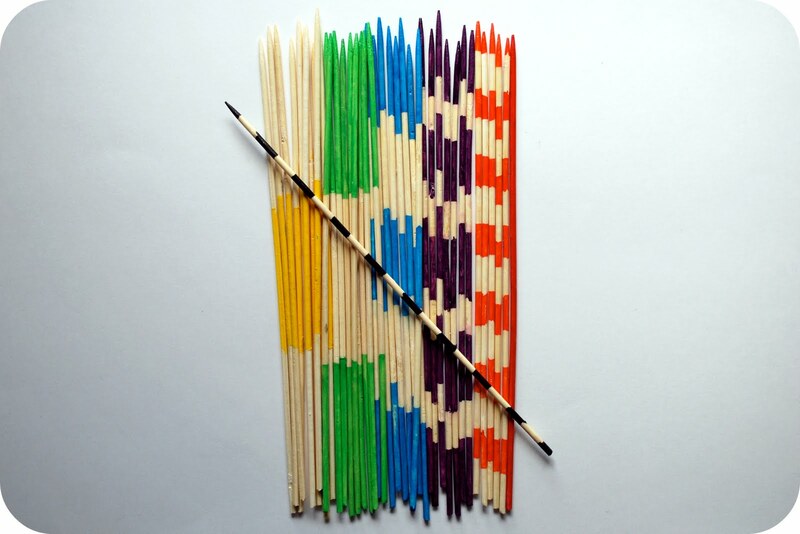 what a greeeeat idea for a gift! thank you very much of reminding me of this game of my childhood! Thank you so much for sharing. 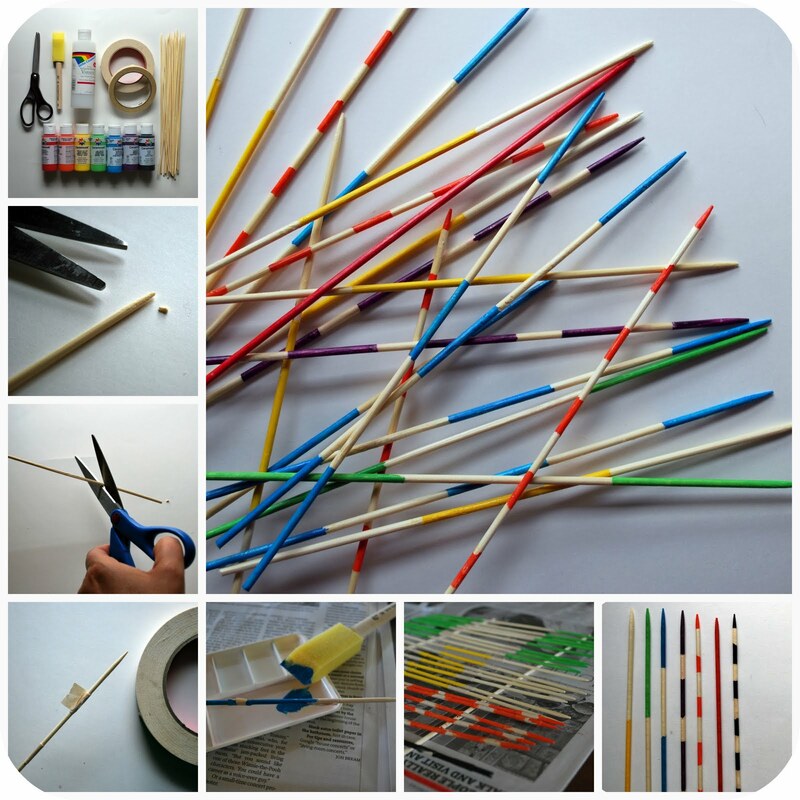 This will be a great activity with the kids. 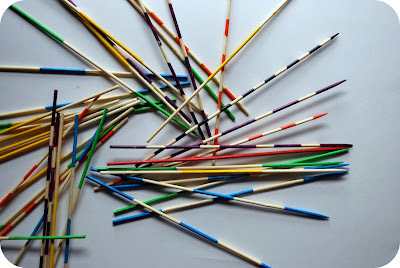 This game is also called Mikado, at least in France, and I once bought a "garden" version of it for my son: the sticks are bigger, about 1/2 yard long and 1/2 inch diameter, so you can play on the grass, and it's easier for smaller hands. This would be great for a gift, packed in a nice fabric bag. BTW, your site is just amazing, thanks again!